Everest Kala Pathar Trek The trek to Mt. Everest Base Camp continues to be one of our most rewarding journeys. 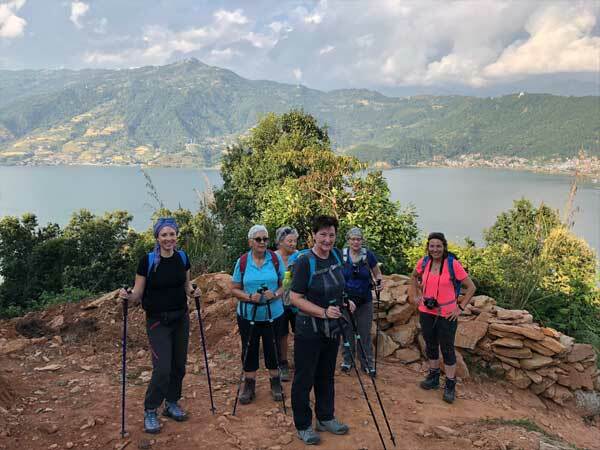 You will have a day to explore the exotic city of Kathmandu before flying into the remote mountain town of Lukla (2800m) to begin our trek into the Khumbu region of the Himalayas. The views of the Himalayan Mountains from Lukla on a clear day are breathtaking. We follow an ancient route that will take us through tiny villages, across high mountain passes, and through remote valleys, villages, and monasteries. The views grow even more spectacular as we venture up the Dudh Koshi River to Namche Bazaar, the gateway to the Khumbu region at 3440m. We will spend a night next to the Thyangboche monastery 3867m, where you will be rewarded with spectacular views of Ama Dablam, Mt.Everest, and Lhotse. Bar bills (Beer, coke, mineral water), donation, personal clothings, personal insurance, rescue charge, any unforeseen expenses,Tips and Donation etc. This is first scheduled ‘acclimatization’ day for this trek. Health experts always recommend us to stay active and moving during the rest day too instead of being idle. We either spend the day taking a day hike to Thame or visiting Khunde or carry out relaxed exploration of Namche Bazaar itself. Namche Bazzar is the main centre of the Everest (Khumbu) region and has government offices, Internet cafes, shops, restaurants, a bakery and a colorful market each Friday evening and Saturday. If we trek a few hundred vertical feet during the day, it will help us to properly acclimatize. Visit the Tourist Visitor Center near the Sagarmatha National Park headquarters and observe an assortment of things related to the first Everest ascenders, Sherpa culture and learn about the various plant and animal life of the Everest region. We also take an interesting side trip up to Khumjung and climb up to famous airstrip at Syangboche. Just above the airstrip is the Everest View Hotel, a Japanese scheme to build a deluxe hotel with great views of the highest mountains on Earth. The Khumjung valley surrounded by the snowy peaks of Kongde and Thamserku and the sacred peak of Khumbila hosts a well known monastery that houses a yeti scalp. Visit Hillary School which is at the same site. After having lunch and spending some time in Khumjung, walk back down to Namche Bazzar. From Namche, the well-worn Everest trail contours around the side of the valley high above the Dudh Kosi. As we follow the path, we will get even better views of the great peaks of the Khumbu: Everest, Lhotse, Nuptse and Ama Dablam. Passing by several villages and numerous tea shops, we will cross the Dudh Kosi River and make a steep climb to Thyangboche, home of the famous and recently rebuilt monastery. We have plenty of time to look around Thyangboche, the monastery and have a cake at the bakery before dropping down to the river and the village of Deboche (3,700m/12,135ft) a little further along the trail, where we will stay in a relaxing lodge. Descend form Tengboche and again cross the Imja Khola, then side-hill gradually to Pangboche, an interesting gompa site above the main village. 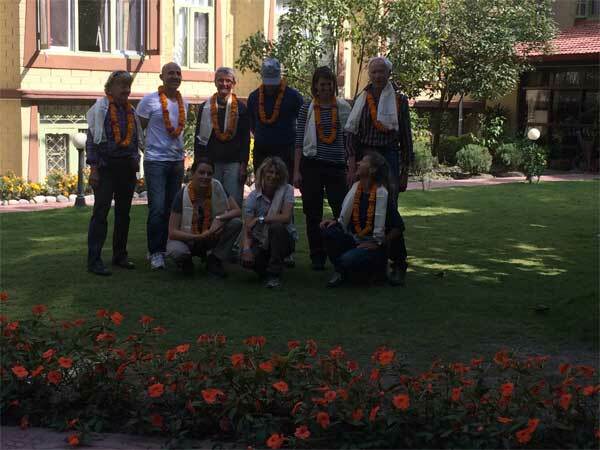 The trekkers are in the midst of the Himalayas here with spectacular views all around. For acclimatization, there is a need to spend two nights around the 1400’/4268m level and Dingboche lying in a shelter spot above the Imja Khola is generally more attractive than Pheriche. It is however of note that the Himalayan Rescue Association have their aid post at Pheriche. Day 11 Tengboche to Namche (3,440m) 6 hours. We take a nice descend walk through forest till to the riverside, across the river and take a walk up towards a big hill for 2 hours and will have a nice pleasant walk till to Namche. This is same way as we used before.